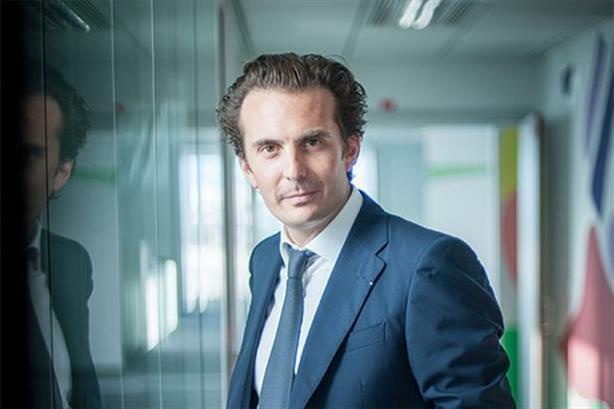 Havas maintained its organic growth rate of 5.5 per cent in the third quarter of 2015, with North America proving to be a "powerhouse" and Europe and Asia Pacific also performing strongly. Organic revenue growth in North America was 7.3 per cent in Q3, reaching €191m ($212.6m, £138.1m), with growth in excess of 15 per cent for its Arnold, Havas Edge and Havas WW Chicago businesses. In Europe, organic growth was 4.7 per cent, reaching €243m ($270.5m, £175.6m). This included growth of +6.3 per cent in the UK, where revenue was €69m ($76.8m, £49.9m). Organic growth in France was 0.6 per cent, but across other European countries it was 7.3 per cent, with Germany, Spain and the Czech Republic up by double-digits. In Asia Pacific, Q3 organic growth was 8.1 per cent to €45m (£50.1m, £32.5m). Havas said growth in the region in the first nine months of 2015 was led by China, Australia, the United Arab Emirates and Singapore. However, organic sales in Latin America fell 0.9 per cent to €37m (£41.2m, £26.7m). Havas said the economic environment in Brazil and Mexico had a negative impact on performance. Highlights of account wins in the period included Kmart, the National Association of Realtors and RE/MAX in the US; pan-European duties for Sharp and Royal Mail in the UK; and Electronic Arts in Australia and New Zealand. Organic growth across the business in the third quarter matched that of Q2 (5.5 per cent), although growth was higher in Q2 in North America (8.2 per cent) and Europe (5.1 per cent) but significantly lower in Asia Pacific (1.8 per cent). Organic growth excludes growth through acquisitions. Overall revenue in Q3 grew 15.7 per cent to €516m ($574.3m, £373m) as the group made four main acquisitions, including marketing agency FullSIX, which employs more than 600 people and has offices in the UK, the US and elsewhere. Havas did not provide specific details on the performance of its PR business, which includes Maitland, Cake and Havas PR. Havas CEO Yannick Bolloré said: "North America once again proved to be a powerhouse for group results, generating organic growth of 8.5 per cent [in the first nine months of 2015], thanks in particular to Arnold, Havas Life and Havas WW. "Europe continues to deliver robust performance, and Asia Pacific has made significant progress. Our agencies in Latin America, on the other hand, have felt the effects of economic tensions in Brazil and Mexico, but nevertheless managed to deliver positive growth over the first nine months of the year. In September, Havas merged its London PR business into One Green Bean, which will become the group's lead PR and social brand in the capital. Earlier this month, Marian Salzman, CEO of Havas North America and chairperson of the Havas PR global collective, discussed her vision of the future of PR with PRWeek.